"The dramatic increase in oil and natural gas prices, the finite supply of fossil fuels, and concerns over emissions and global warming are forcing us to consider alternatives. 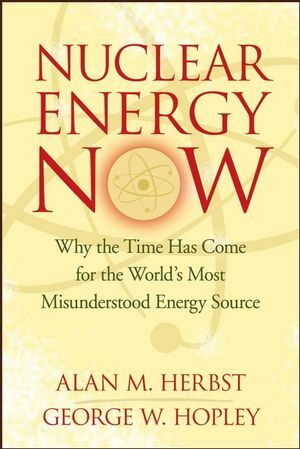 In this measured and knowledgeable book, energy experts Alan Herbst and George Hopley argue that the time has come for the U.S. to revitalize its nuclear generation assets in order to successfully meet growing domestic electricity requirements and lessen our dependence on foreign sources of energy. Nuclear Energy Now provides an informed look at the benefits and drawbacks associated with this controversial alternative to traditional energy sources." Copies of these articles are available upon request.